Are you thinking of getting dental implants? Used by dentists all over the world to treat dental gaps to reinforce jawbones, dental implants are the most successful and stable tooth restoration available today. Read below to learn more, and if you are interested in treatment, call Drs. Laura Koch and Andrew Soulimiotis at their Midtown, GA, dental office. Dental implants are biocompatible fixtures that are surgically placed into the jawbone. They consist of several parts: a titanium post that's inserted into the jawbone, a screw that secures an abutment over the titanium post, and a crown that tops the whole structure and matches the rest of your teeth. 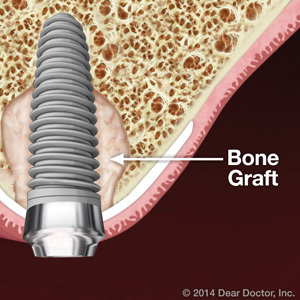 What does the dental implant procedure entail? The procedure is straightforward. The titanium post is surgically inserted into your jaws to replace missing tooth root, where it will provide stability and strength, while also preventing any weakening or shrinkage of the jawbone. After inserting the titanium post, the dentist seals your gums and allows 3 to 6 months for osseointegration (the process of the post fusing to the rest of your jawbone) to occur. After healing is complete your, Midtown dentist re-opens the area above the titanium post, inserts a screw, places an abutment above the screw, and finally secures a crown on top that matches the rest of your teeth. Does the body reject dental implants? Implants are made of titanium and can't be rejected because they don't consist of any living cells. Allergies are rare but possible, which is why implants have a 95 percent success rate. Dental implant surgery is easy and tolerable for most people. Ice and over-the-counter anti-inflammatory medication, like ibuprofen, is all that is needed to manage post-operative discomfort. How do you care for your dental implants? To take proper care of your dental implants, make sure you brush your teeth at least twice a day and floss daily. A change in diet may also be beneficial—eating plenty of fruits and vegetables while avoiding sugary foods helps to prevent the accumulation of plaque is good preventative care. If you're interested in learning more about dental implants, call Drs. Laura Koch and Andrew Soulimiotis, in Midtown, GA, at (404) 249-1716 to learn more! If your smile and self-esteem are suffering because of lost teeth, you need to discover the benefits of dental implants! This revolutionary treatment is the most natural-looking, best-functioning method of tooth replacement available today. Your dentists at Dentistry for Midtown in Midtown Atlanta, Georgia Dr. Laura Koch, Dr. Andrew Soulimiotis, and Dr. Sunny Patel want to share just a few of the important benefits of dental implants and help you discover what dental implants can do for you and your smile. Whether you have lost just one or several teeth, dental implants can complete your smile. If you have worn a denture for a long time and are losing your youthful facial contours, dental implants can rebuild the bone you have lost and restore a firm jawline. Are virtually identical to natural teeth; that’s because the implant crown is made of translucent (light-reflective) materials that look just like tooth enamel. Will never move around; that’s because they are firmly embedded in the jawbone so they are completely stable. 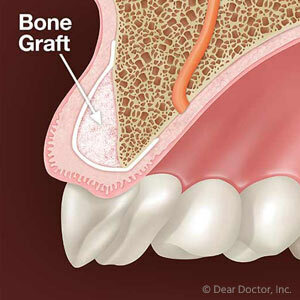 Are easy to maintain; that’s because you can brush and floss your dental implants right along with your natural teeth. Fit in easily with your life; that’s because you never take them out for eating and sleeping, unlike partials and dentures. Are the most successful surgical implant; that’s because dental implants boast a success rate of over 95 percent, according to the American Academy of Oral and Maxillofacial Surgeons. Don’t settle for old-school dental appliances and bridgework when you can have dental implants, the state-of-the-art way to rebuild your smile. It all starts with a simple phone call to your dentists at Dentistry for Midtown in Midtown Atlanta, Georgia. Don’t wait to remake your smile! Call today!